Now you can easily mount your mobile phone onto a tripod. Adjustable spring loaded mechanism allows for virtually any phone size. 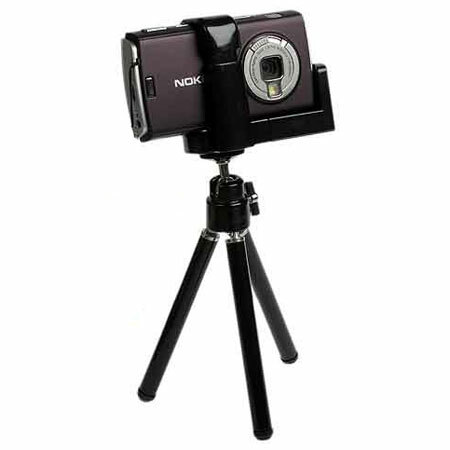 This product seems to fit most mobile phones and holds the mobile nice and steady to take video or a delayed pic. 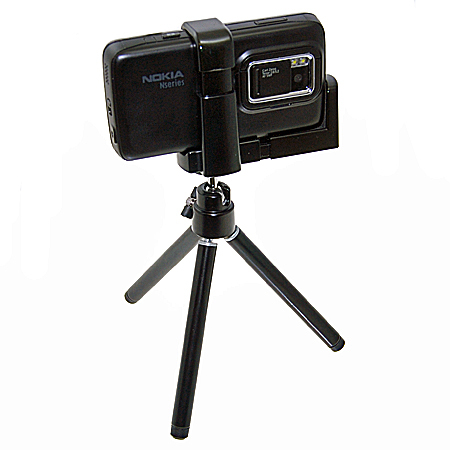 Now you can easily mount your mobile phone onto a tripod or mini-tripod etc. Adjustable spring loaded mechanism allows for virtually any phone size. Rubberised pads help to ensure a good grip on most equipment types. 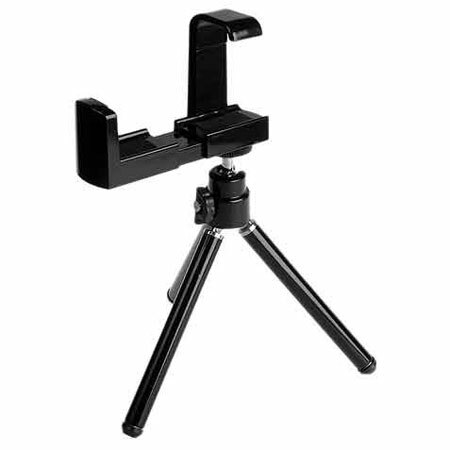 Can also be used as a base (without tripod) on smooth level surfaces- Simple and clever. 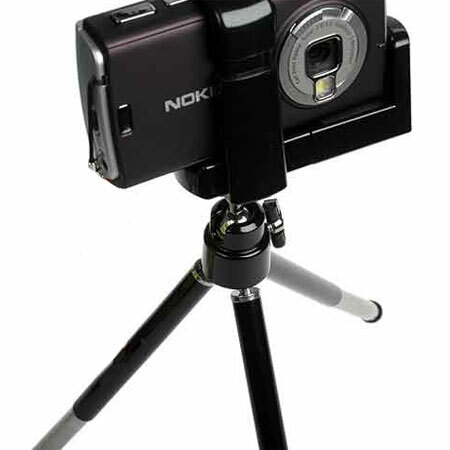 Rotatable Tripod The tripod is compact and lightweight and is designed to hold your mobile phone so you can take perfect pictures. 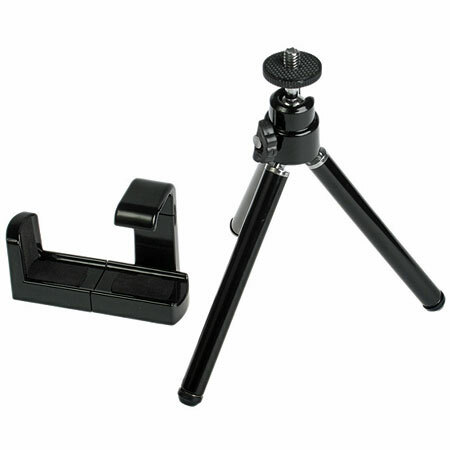 The tripod is made from a solid material so that it holds your phone securely. Best for Self Photo Taking, Battery charger stand, etc. 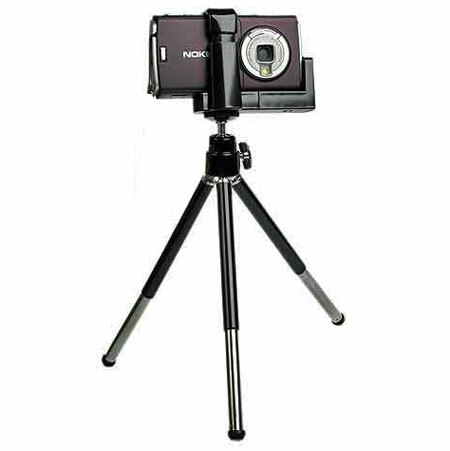 "All in all its a lightweight tripod that’s easy to carry, has great value for money and is a must have if you own a good camera phone."